From an early age, Lance wanted to be a cowboy. He loved working cattle with his dad in the marshes of Creole, Louisiana and competing for ribbons and trophies in youth rodeos. In high school, Lance won a national championship in the boy’s cutting horse contest; in college he competed in rodeo events and, after college, as a steer wrestler at the professional level. But life and marriage required him to work elsewhere. After starting and selling a lucrative waste management business, Lance then bought, built up, and sold an oilfield heavy construction company. He and his wife Kelly — who met when he was 15 and she was 12 — and their three daughters wanted for nothing. His growing bank balance told him he had made it big, but his increasingly restless heart told him otherwise. 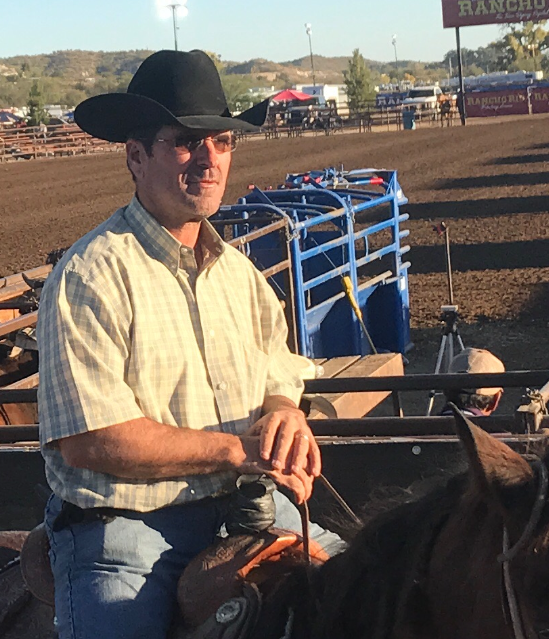 Lance still competes as a team roper, but his roping comes secondary to traveling and evangelizing as a “Catholic cowboy,” to help bring back the lost and hurting. His exciting and heartfelt stories have inspired and instructed businessmen and professionals as well as couples in marriage and family groups. Lance is also still involved in missionary projects with Father James Hogan in Mexico. So saddle up…you don’t want to miss the chance to ride with Lance Mudd. Contact or book Lance HERE. Copyright © 2019 Lance Mudd. All Rights Reserved. Made with ♥ by Serrys Corporation in Texas.